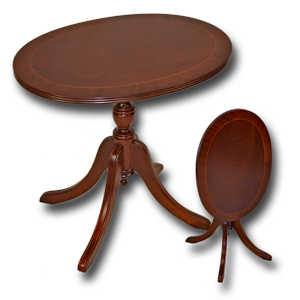 Ref: MG37W Fine Reproduction Burr Walnut Oval Wine Table. 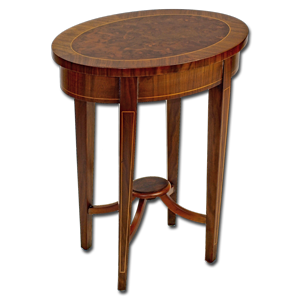 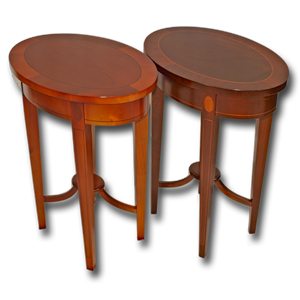 Stylish and elegant, this table features a burr walnut top panel set inside an inlaid line and walnut crossbanding. 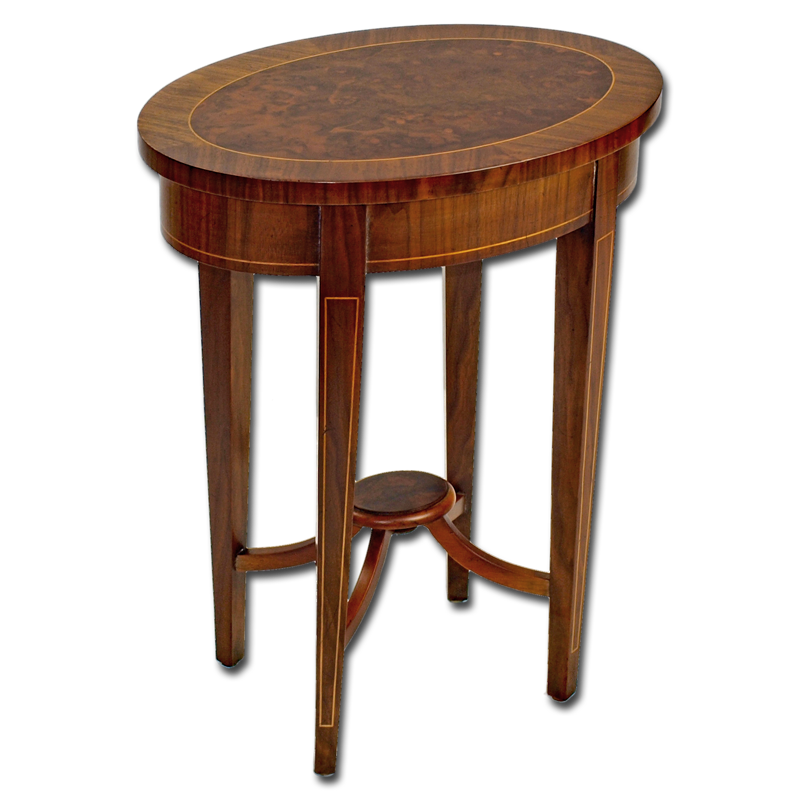 To further enhance the look, we add inlaid lines and detailing into each perfectly tapered leg and fit a gently curved stretcher base.